It’s hard to imagine someone in this planet who has never heard of Toni Braxton, or her famous ballad, “Un-Break My Heart”. Her ability to deliver pain through her voice is what made her unique and incomparable. However, the life and the struggle Toni Braxton had to go through: bankruptcy, divorce, and the disease lupus, made her to distance herself from the stage. However, no matter how difficult it was for Ms. Braxton, she decided to not give up and continue to do what she loves: delivering soulful ballads for her dedicated fans. 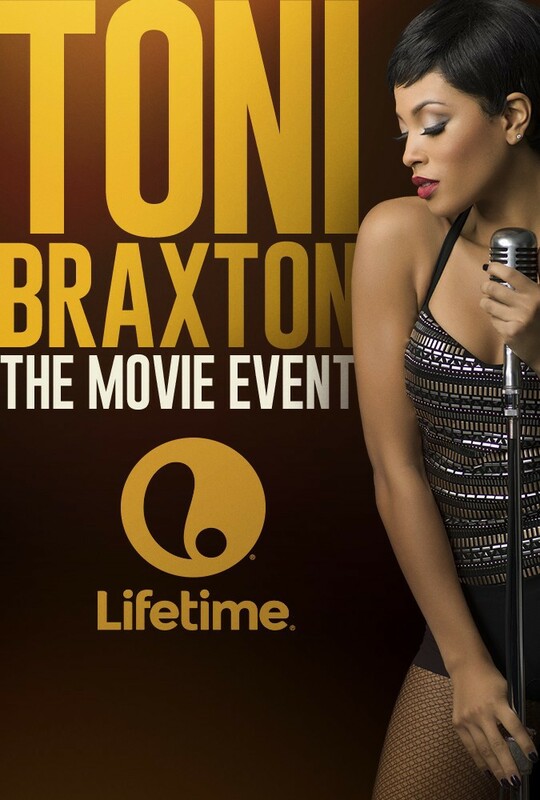 Lifetime’s biopic, Toni Braxton: Un-break my Heart follows the life story of R&B singer-songwriter and producer, Toni Braxton. It begins with her meeting with Antonio “L.A.” Reid and Kenneth “Babyface” Edmonds, who comes to church to listen to Braxton Five. However, they end up offering a contract to a still young and immature singer, Toni Braxton, whose voice they found perfect to perform sad songs. However, Braxton agrees to sign a contract if the studio allows her sisters to travel or even perform with her. The studio agrees to do so, which eventually made her to file bankruptcy. When the film begins, we find Toni Braxton performing her another famous hit song, “He Wasn’t Man Enough for Me” from her 2000’s ‘The Heat’ album, while shortly after she falls unconscious. Right at that moment, you hear a familiar voice behind the camera that talks about the pain. The voice you hear belongs to Ms. Braxton, who takes you a bit back to the event that will lead her to the beginning where you find her unresponsive. The first fame shows Toni Braxton when she performs a soundtrack for Boomerang, where Eddie Murphy was a lead actor. But true recognition comes to her when she releases her album, “Secret” which brings her right on top of the ladder. As the story unfolds, Toni Braxton will find herself caught by surprise, when the Arista Records sues her for spending way too much money. She ends up selling everything, even her Grammy Awards. However, this was just the beginning of Braxton’s nightmare. Soon, unplanned abortion, a child with autism, incurable disease lupus, and divorce strikes Braxton the way it forces her to have suicidal thoughts. Fortunately for all of us, she finds a way to fight back and comes back to the top where she belongs. In conclusion, Lifetime’s biopic will bring tears to your eyes throughout the film where you get a chance to hear her famous songs. As the film itself is being accompanied by the narrated voice of Toni Braxton, it brings you chills, and in the meantime, sweet memories from the 90s. Lex Scott Davis, who portrays Toni Braxton, does her best possible to breathe life into Toni Braxton’s character. More importantly, It is a well made biopic about a person whose voice has been recognized as one of the most outstanding voices. So, if it happens that you’re a fan of Toni Braxton, you will appreciate this film even more, just the way I did.